The Immortal Life of Henrietta Lacks premieres April 22 at 8 p.m. ET on HBO, and I’ll be tuned in because it’s that good. I’m not just saying that because I had an otherworldly experience with one of the stars of the film, Oprah Winfrey, this week. It’s honestly worth watching more than once, and yes that’s because Oprah is stellar in it as Henrietta Lacks’ youngest child, Deborah. But it’s also worth watching because of another impressive performance by everyone’s fave, Courtney B. Vance. He plays Sir Lord Keenan Kester Cofield, a slick-talking, money-chasing lawsuit machine who breezes into the Lacks family promising millions in reparations. Vance’s role is brief but a major thread in the tapestry of the family’s distrust of anyone claiming to help them, even the author of The Immortal Life of Henrietta Lacks, Rebecca Skloot. The Root: You were obviously a big hit in The People v. O.J. Simpson. 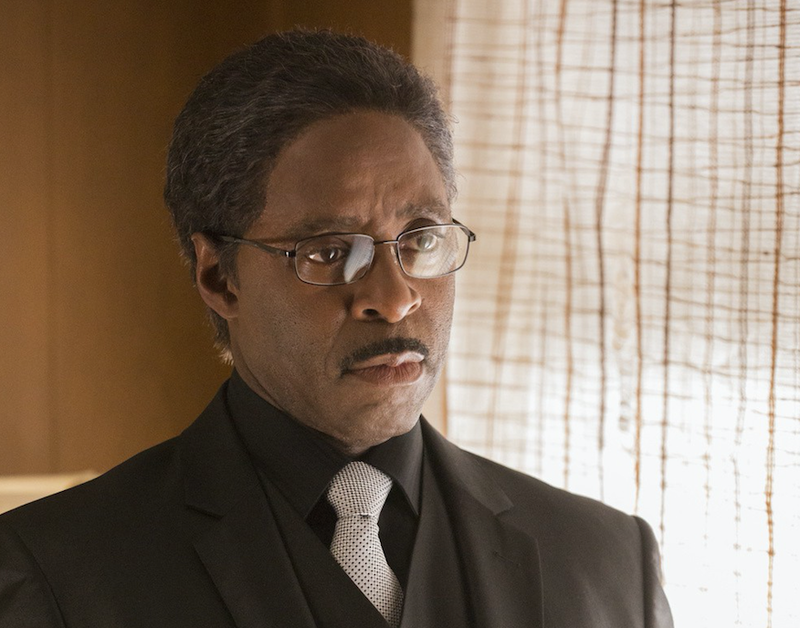 I couldn’t help but be reminded of Johnnie Cochran just a bit in this role. TR: How much of Johnnie Cochran did you bring to this role of Sir Lord Keenan Kester Cofield? CBV: None. Absolutely none. Johnnie C. was just doing his job. He was poking holes in the prosecution’s case. And this is very, very interesting to me. People said he was evil, man. It wasn’t his job to prove that O.J. was guilty. Marcia Clark and Chris Darden, that’s where the focus should be, the fact that they didn’t do their job. On the other hand, that Sir Lord. What’s in a name? Everything. [Laughs.] Sir Lord, now, he was a charlatan. He was strictly there to take advantage of a family. He’s that kind of person, that when there’s a problem and when the tragedy goes down, he’s always looking to take advantage. TR: What made you say yes to this role? CBV: I came to the project late. When [director] George C. Wolfe calls, you answer. It was the ninth hour. He needed help, for whatever reason. I said: “George you know, I’m crazy now. Just tell me what you want to do and where you want me to be.” I love him and I respect him. I respect his vision, and it’s complete in all he does. You never know how projects end up. They don’t always end up the way you planned. You just kind of jump in and figure it out, and that’s what I’ve done with this one. TR: Do you feel like there is a black-history lesson that you’ve learned that has been super shocking for you or even painful? CBV: We are an amazing people, and we have endured [so much]. Our stories are amazing to me, how we actually got here and how we have endured, and that is a testament to our perseverance. We have overcome obstacles. And the story of black folks in this country is a story of overcoming, patience and endurance. And we are a great people, and we have been minimized and pushed to the periphery of this country in terms of the foundations of it, and we built this country. It was built on our backs and we love this country. We were brought here under duress, but we’ve come to love and adore this country, and to hear about a story where ... what’s important about this time is, people are starting to learn about how great a people we are and how we overcame in spite of. And this is a story of how people, a family, was experimented on by medical professionals, and it’s not a new story. It’s happened time and time again. It’s just that people are now discovering it. CBV: Right. The tragic on top of the tragedy is that the family [of] Henrietta Lacks did not participate in all of the [remunerations] that the medical professionals—you know, the diseases, polio and other vaccinations and all the other diseases Henrietta Lacks’ cells were able to help eradicate ... and heal ... . The family did not participate in any of that. I would hope that the film would turn into a cause célèbre and help find a way to get this family something, and not just a little something. They need to participate in a major way. CBV: They need to participate in a major, major way, just like the medical professionals participated. ... Millions, billions of dollars have changed hands on the back of Henrietta Lacks. So what are we going to do? That’s the question. What are we going to do for the family? The film’s going to be watched, it’s going to be wonderful. But what are we going to do for the family to make up for the fact that it was irreparably harmed? Her mother and the family were irreparably harmed. TR: And then lastly, in this film, they expose a lot of black pain. It’s very intimate in how it shows the black family structure and trusting of a white person coming in to tell their story. And I think that people might even pull out the whole “white savior” thing. How do you feel about being able to tell the story but still having a white person as a vehicle to push the story? CBV: The fact is, somebody of color couldn’t do it. And for whatever reason, she had a passion to find out about this story. And she was the one. God touched her. And I celebrate her, Ms. Rebecca, and hopefully she’ll teach us to take care of ourselves. That’s the painful part, is that it happened to this family and that ... people saw people as less than people. And that’s what’s so painful: that people, in their minds back in that time, it was very easy for white folks to just shut off their minds and [to think] that person is less than a person, so you can treat them ... like an experiment and ... it’s OK.
We need each other, and the more we start to—when you look at children playing, they don’t see color. They just play up to a point, and they get taught that this person is this and that person that; this color means this and that. We need each other. And you only see it when there’s a tragedy. Editor’s note: The Immortal Life of Henrietta Lacks debuts April 22 at 8 p.m. ET on HBO.